Myoshred Review: Are These Stimulants Enough to Burn More Fat? 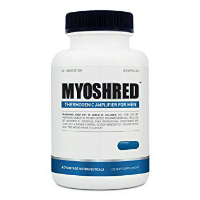 Myoshred is a “thermogenic amplifier for men.” According to the official product page, when this review was written, Myoshred is formulated for “extreme intensity & thermogenesis” and contains “clinically tested ingredients to aid weight loss.” Moreover, the ingredients have also supposedly been shown to help increase free testosterone levels. This is thought to be a benefit because high testosterone levels correlate with increased lean muscle, muscle mass, and strength. The Myoshred formula contains Vitamin B12 (360 mcg), Zinc (15 mg), Boron (5 mg), Fenugreek (300 mg), Tribulus Terrstis (300 mg), Caffeine Anhydrous (256 mg), Agmatine Sulfate (250 mg), Creatine HCL (250 mg), GreenSelect Phytosome Green Tea (150 mg), per 2 capsule serving. 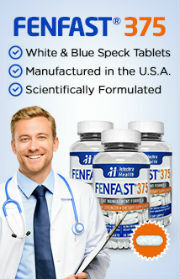 Clinical studies have found that fuenugreek may increase fat loss and endogenous testosterone levels. Caffeine has been shown to boost mental focus and may help to stimulate fat oxidation and thermogenesis. Creatine can help increase lean body mass. Greenselect phytosome green tea may accelerate weight loss by boosting metabolism and speeding up fat burning. Boron may help to increase free testosterone levels. None of these ingredients – or the Myoshred product – have been proven to cause or aid in weight loss. Even if this formula happened to improve fat burning, this does not mean that the fat that is burned will result in measurable weight loss. Moreover, it is important to point out that each serving of Myoshred contains caffeine that is about equal to more than 2 cups of coffee. If you are sensitive to stimulants, such as caffeine, this product is likely not the best choice for you as there is a good chance you will experience unpleasant side effects. A user may also be at a greater risk of caffeine-related side effects (e.g. anxiety, jitters, restlessness, heart palpitations, rapid heartbeat, insomnia, etc.) if they eat food or drink beverages that contain caffeine while taking this product of if they take it before bed. For optimal results, Myoshred should be taken as directed or by following the instructions of your health care provider. Even though Myoshred can be purchased online and is a non-prescription product, it is always in your best interest to discuss your weight management goals with your healthcare provider. 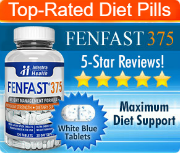 It may turn out that Myoshred is not the best diet pill for you or, based on your medical history, it may not even be safe to take. Always err on the side of caution.